A village has been visited by a Prior, but when SG-1 investigates they are stunned to learn that the Prior is Daniel Jackson. Despite the danger he poses, SG-1 beams Daniel aboard the Odyssey where he is held in restraints and his Ori-given powers are suppressed by the anti-Prior device. Daniel insists, however, that he has not fallen under Adria's control, but that his appearance and his capture are all part of an elaborate scheme he has put into place. Using Merlin's knowledge still locked within his mind, Daniel intends to complete Merlin's weapon and deliver it through the supergate to the Ori galaxy. 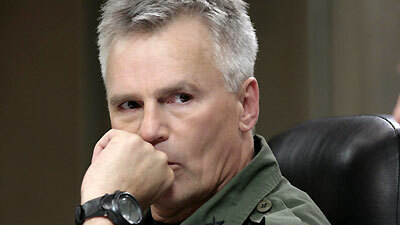 His plan, however, rests on whether SG-1 believes him. General O'Neill arrives at the SGC and confronts his friend. Daniel's body will soon begin to revert, and both Merlin's knowledge and his Prior's powers will be lost. Time is running out, and O'Neill and SG-1 agree to take the risk, but the mission is canceled when Woolsey arrives with a directive from the IOA. Daniel Jackson is to be terminated. As Landry and O'Neill attempt to delay Woolsey's order, SG-1 makes the decision to use Daniel's information to complete his mission themselves. However, as Woolsey prepares to place Daniel in stasis, Daniel at last overcomes the effects of the anti-Prior device, escapes from his restraints, and commandeers the Odyssey. Aboard Odyssey, Daniel and O'Neill prepare to join SG-1. On an Ori ship, Carter works to override the ship's controls as Vala completes Merlin's weapon. At the supergate, however, Adria retakes the ship. The transformation that will rob Daniel of his powers has begun, but he overpowers Adria, and as O'Neill orders Daedalus to shut down the wormhole from Pegasus that blocks the supergate, Daniel summons the last of his powers to dial the Ori galaxy. Merlin's weapon is activated, and SG-1 beams aboard Odyssey as the Ori ship slips through the gate. The fate of the Ori is unknown, but as the supergate opens again, new ships of the Ori enter the galaxy. When Merlin programmed the Ancient repository to download his consciousness into Daniel's brain, he gave it a time limit, knowing that Daniel could only survive so long with the knowledge and consciousness of two distinct people in one mind. When Merlin dies, Daniel's body and mind are genetically programmed to revert back to the state they were in before Merlin's consciousness was downloaded. Merlin sacrificed himself for Daniel's plan to work. Adria explains: Origin is designed to channel the energy of its followers to the Ori. It's that unselfish act of giving that leads one's soul to salvation and ultimately to ascension. This is no great secret, the Book of Origin says, "Make yourself one with the path, and the journey will lead you to eternity." Were it not for the power the Ori draw from our belief, the Ancients would have wiped them out long ago, because they would not tolerate anyone who does not follow their collective rules of noninterference. They claim not to interfere but they do manipulate, use their power to hoard their knowledge, and prevent those beneath them from reaching their level. A Mark IX gatebuster beamed directly behind the event horizon of the gate in the Pegasus galaxy so that the force won't be absorbed by the active wormhole, will destroy that gate and sever the wormhole connection. Ori warships are flown by the Priors using mind control. Daniel gives the Odyssey temporary cloaking capabilities. Having a ZPM helps. With the supergate disconnected from Pegasus, the Ori send at least six more ships to our galaxy. We're saying that book's got about as much truth in it as the Da Vinci Code.